The quest for alternative energy is still one of the major concerns of science and researchers, striving to find successful solutions, are now working on a source of renewable energy produced by evaporation. 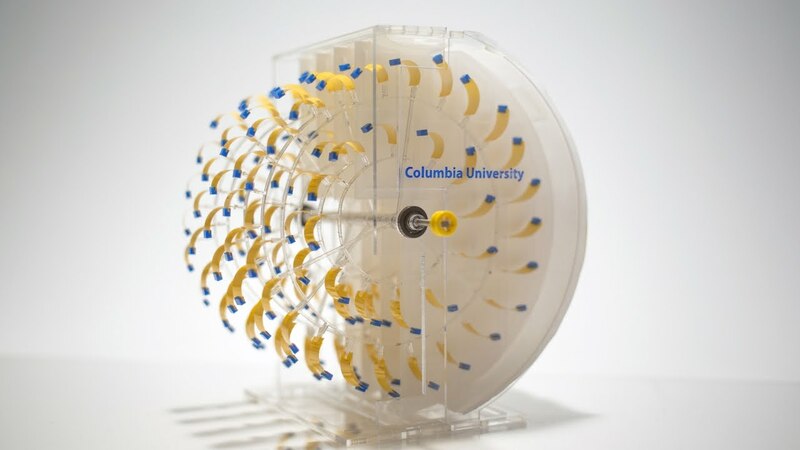 Based on a recent performed at Columbia University, the team of scientists designed the first engine that is driven by evaporation. This could mean a real breakthrough in the field of renewable energy. Led by Ozgur Sahin, an associate professor of biological sciences and physics at Columbia University, the project aims to use energy from evaporation. So far, the team of scientists managed to use such energy to operate a toy car and power LED lighting. Professor Ozgur Sahin claims that in nature, water is in constant transformation. He further explains that evaporation is a ubiquitous phenomenon in the natural environment and a dominant form of energy transfer in the Earth’s climate. The professor further emphasizes that evaporation is a fundamental force of nature, being present and more powerful than other forces like wind and waves. He is confident that these current results show greater premises for future success in the field of renewable energy. According to the report published in “Nature Communications”, the researchers managed to evidence two methods by which power can be produced, with the use of bacteria and evaporation. Both methods implied the use of double sized plastic tape, a sort of type like the one used in audio cassettes. In high humidity, spores augment their volume, whereas when dry, they contract. When they are dry, spores are placed in certain patterns onto the tape, which was then located into a plastic case with shutters, in order to control the influx of water vapor. The tape is pulled, as spores absorb or release water. Then, the tape pulls on further whatever it was connected to, producing, thus, power. In one situation, the tape was used to power some pistons that continued to power a small light. As for the other situation, the tape powered a wheel to drive a toy car. According to professor Sahin, the “Moisture Mill” of the future could reach far greater levels, maybe even in a full size engine that won’t need a battery or an engine. In an even more daring vision, he believes that a greater version of the engine could actually be used to produce the necessary amount of power for a wind turbine. And the possibility to retain the tape in its humid condition until the moment energy is needed, makes it easier to imagine a type of “evaporation batteries” that could be charged on warm days and deposited until they are needed. Even though, presently, these methods can produce only limited amounts of power, the researchers believe in the possibility of being able to scale them up, in order to generate much bigger amounts. They could, why not, become floating power generators, positioned on reservoirs or bays that would generate enough electricity for cities or towns. Although this technology is still in its incipient phase, in the future, it might achieve important results and greatly contribute to the field of renewable energy.